The relaxed, contemporary feel of the Hotel Dobby Collection represents an easygoing, yet sophisticated nature. 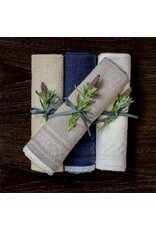 Bold indigo and soft neutrals such as gray, ivory and natural are simple, yet complement many other patterns and prints. A delicate checker print adorns the bottom for an added decorative touch. 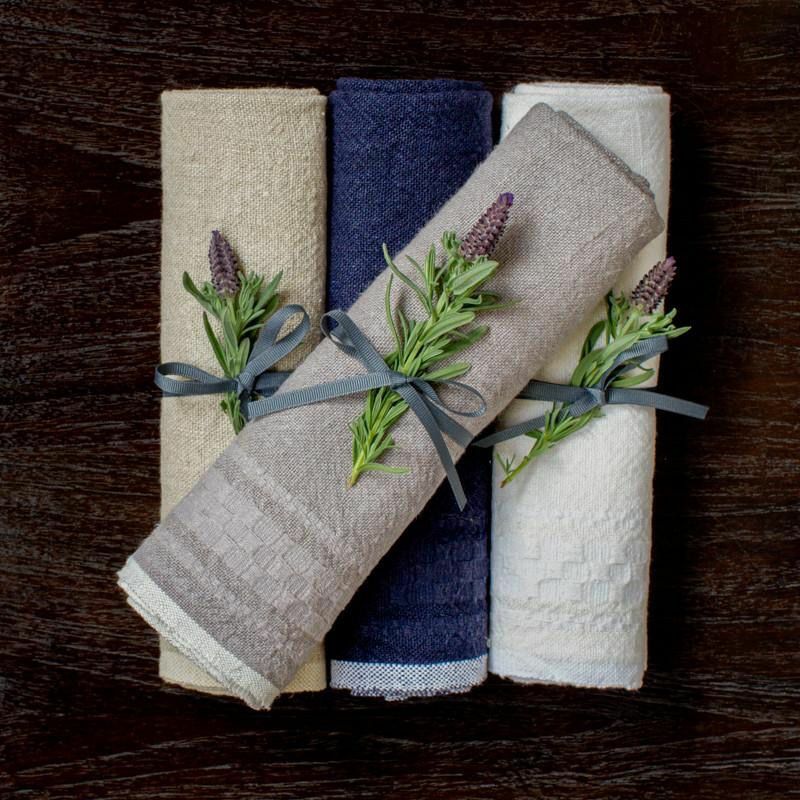 Each 100% cotton tea towel is entirely handmade and yarn dyed for a natural texture. Easy care and practical: machine washable, ironing is optional. Tea towel measure a generous 20x30 inches.